Bollywood’s famous director and producer Karan Johar became father of twins Roohi and Yash through surrogacy on 7 February 2017. The star kids turned two yestreday, and the doting daddy left no stone unturned to celebrate the special day. Earlier in the morning, Karan posted a video on his Instagram story, singing himself with his mother; ‘happy birthday’ for the tiny tots and the kids also looked super excited. Along with the video Karan, wrote, “Excuse my besura singing”. In the video Yash playing with a bunch of Balloons, while Roohi tossed her school bag to express her happiness. 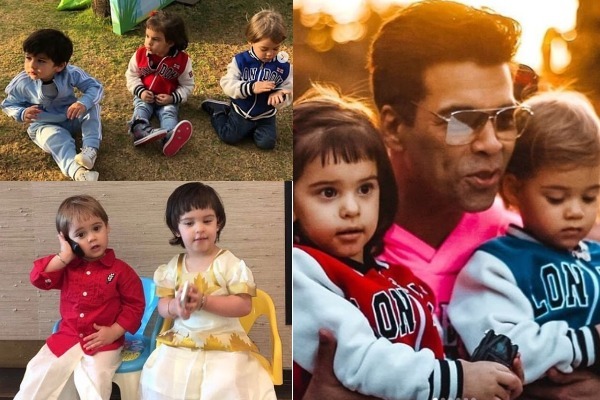 As the twins returned from their school, daddy Karan Johar hosted a grand birthday party in the evening. Dressed in red and blue jerseys, Roohi and Yash looked super excited as they celebrated their birthday party with their friends. 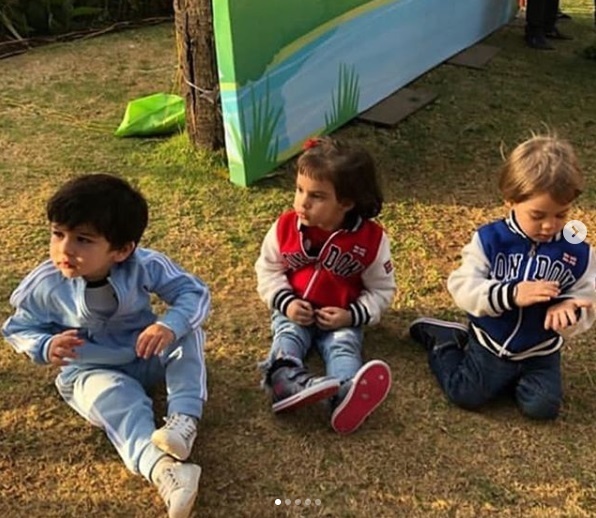 Guess what, Yash and Roohi invited their Bollywood buddies on their birthday including SRK’s son AbRam, Shahid Kapoor’s daughter Misha Kapoor and Kareena-Saif’s son Taimur. Varun Dhawan and Mira Rajput were also seen at the birthday party of Yash Johar and Roohi Johar. The pictures from the birthday celebration is going viral on social media, which shows the two adorable twins cutting the three-tier cake with their daddy. 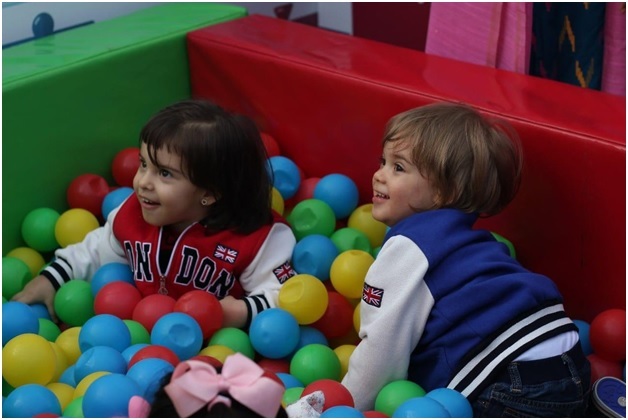 In one endearing photo, the twins can be seen playing all covered with colorful balls. Varun Dhawan was clicked with Yash and Roohi as he played with the toddlers. @varundvn bonds with #YashJohar and #RoohiJohar at their birthday bash. Actor Sanjay Kapoor’s wife Maheep Kapoor also shared Yash and Roohi’ cute video on her Instagram account. On the work front, Karan Johar’s next production venture ‘Kalank’ would be releasing in April this year. The films cast included Madhuri Dixit, Alia Bhatt, Varun Dhawan, Sonakshi Sinha, Aditya Roy Kapur and Sanjay Dutt.